Equisales maintains and services high-voltage circuit breakers for global energy clients. Our high-voltage solutions deliver exceptional performance and reliability while conforming to appropriate environmental and technical specifications as outlined by the client or our experts. As part of our engineering, procurement and construction (EPC) services, top-quality circuit breakers and components are selected to deliver competitive cost options that are needed for all types of high-voltage facilities in different markets. When clients need fast-track solutions, we deliver. We provide specialized equipment and perform customized services for high-voltage clients every day. Results depend on equipment selection, procurement options and a complete understanding of market conditions around the world. To make effective design choices, we consider cost, reliability, application type and other variables. With changing design standards and fluctuating energy use, we help clients meet internal requirements and customer demands by supplying, retrofitting and relocating high-voltage circuit breakers, transformers and substation equipment. These are a few of the services that we offer. Assembly services prepare new and refurbished circuit breakers for on-site operations. Relocating circuit breakers and switchgear to critical facilities increases efficiency and reduces startup expenses. Retrofitting circuit breakers can give equipment new uses when substation designs and voltage capacities change. We can buy back and remove end-of-life circuit breakers to reduce cost burdens and shutdown expenses. When decommissioning is the right option, we can reclaim SF6 gas and complete tasks to ensure the safe removal of circuit breakers and transformers. Clients can complete maintenance and build-outs quickly with our field-ready circuit breakers and advanced services. Our in-house engineers are available to design facility controls and protection schemes. Fast-track specialists are ready to assist with the construction of high-voltage substations that use stand-alone circuit breakers or comprehensive designs with step-up or step-down transformers. Each build requires high-voltage solutions that are customized for the market, local regulations, budget and customer base. For example, one-and-a-half and double breaker configurations provide exceptional reliability, but they are not necessary when cost and time are more important. We work with clients to supply the high-voltage equipment and services that are needed to complete fast-track projects, respond to emergencies and extend the life of existing equipment. 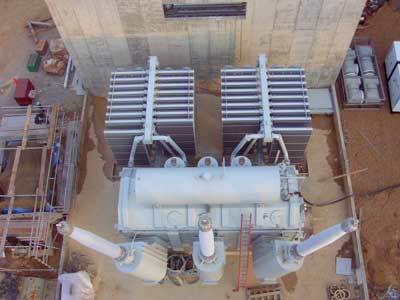 Substation projects start with our engineers. Construction begins with our skilled assembly services and field technicians. We are available to supply new, used and refurbished circuit breakers and switchgear that is insulated with air or gas. Off-site and in the field, crews can maintain and upgrade existing equipment. We are qualified to service breakers that use all types of arc-quenching systems, including SF6. Let us create and implement a substation design that uses proven technology, remotely operated interrupters and reliable disconnect methods. Equisales can assist with specific on-demand tasks or provide complete EPC services. To learn more, contact us online or by calling 713-733-3999.